Working cameralessly with cyanotype paper and elements such as rain, ocean waves, sediment and icicles, Riepenhoff’s work addresses time, impermanence and the unpredictable movement of nature. Riepenhoff places paper coated with homemade cyanotype emulsion where it will interact with the landscape: at the shoreline of a lake, over a tree branch in a rainstorm, buried in snow... UV sunlight and elements in the water activate the photochemistry and are allowed to leave their traces directly on the photographic materials, texturing the surface with sand and other debris. In the end, each print is an imprint of nature, rather than a literal image of it. 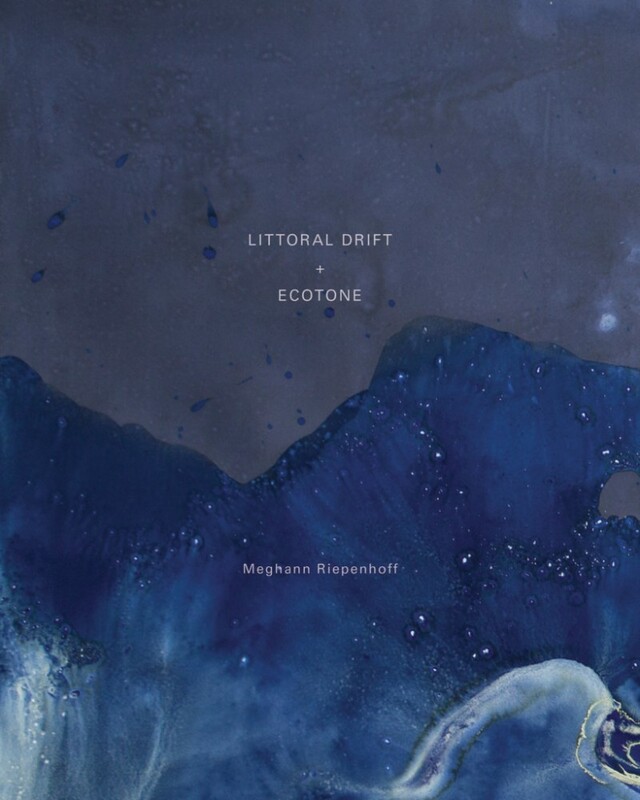 Riepenhoff's first monograph is comprised of two conjoined volumes, Littoral Drift and Ecotone, each containing 100 images. The book includes supplemental process photos, an introduction by Joshua Chuang of the New York Public library and a conversation with curator Charlotte Cotton.